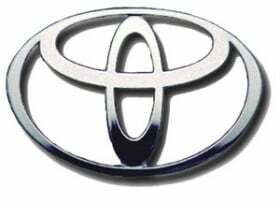 TURIN – Toyota Motor Corp.'s European division next month will take charge of global product planning for small cars as the Japanese automaker expands model research and development in the region. The change, announced Dec. 17, means that Toyota will count on Europe to develop future products in the minicar, subcompact and compact segments, something that Ford Motor Co. and Fiat-Chrysler also do. "It is essential to bring focus to this mission and the product planning division will play a key role in this integrated strategy, together with our engineers and designers," Toyota Motor Europe CEO Didier Leroy said in a statement. The sweeping reorganization also is going to affect Toyota Europe's sales and marketing operations. Alain Uyttenhoven, Toyota's 50-year-old head of product planning and marketing, will focus on just product planning as vice president of the department. Starting Jan. 1, Uyttenhoven will help decide the global futures of the next Aygo minicar, Yaris/Vitz subcompact and Auris/Corolla compact. Daniele Schillaci, who runs the company's French business, will become Toyota Europe's senior vice president for sales and marketing. In this job, the 46-year-old executive will inherit marketing responsibilities previously held by Uyttenhoven. Leroy said that reconnecting marketing to sales would permit Toyota "to respond in the fastest and most efficient way to market volatility and changes in customers' expectations." Schillaci will be replaced as Toyota France CEO by Pascal Ruch, who currently is Toyota's general manager of sales and production efficiency in European distribution. In addition, Miguel Fonseca, currently vice president sales business, will become vice president of business integration.